Behavioral verification of technical systems involving both discrete and continuous components is a common and demanding task. The behavior of such systems can often be characterized using stochastic hybrid automata, leading to verification problems which can be formalized and solved using stochastic logic calculi such as stochastic satisfiability modulo theory (SSMT). 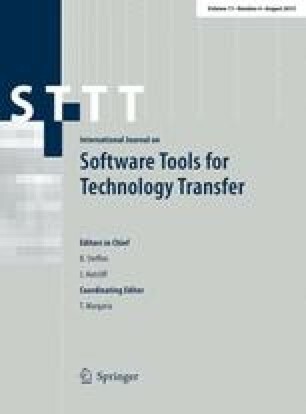 While algorithms for discharging proof obligations in SSMT form exist, their applicability is limited due to the computational complexity, which often increases exponentially with the number of quantified variables. Recently, statistical model checking has been successfully applied to stochastic hybrid systems, thereby increasing the size of the system for which verification problems is tractable. However, being based on randomized simulation, these methods usually cannot handle non-determinism. In previous work, we have deviated from the usual approach of simulating the model and rather proposed a statistical method for SSMT solving which, being based on statistical AI planning algorithms, can also treat non-determinism over a finite domain. Here, we extend this previous work to the case of continuous domains. In particular, using ideas from noisy optimization, we adaptively build up a decision tree recording the findings and guiding further exploration, thereby favoring the currently most promising sub-domain. The non-determinism is resolved by translating the satisfaction problem into an optimization problem, thereby computing both optimistic and pessimistic bounds on the probability of satisfaction. At each stage of the evaluation process, we show how to obtain confidence statements about the probability of satisfaction for the overall SSMT formula, including reliable estimates on the optimal resolution of any non-deterministic choice involved. The research leading to these results has received funding from the ARTEMIS Joint Undertaking under Grant Agreement No. 332830 (CRYSTAL) and German national funding from BMBF No. 01IS13001A, from the EU within the FP7 STREP “Modelling, verification and control of complex systems: From foundations to power network applications (MoVeS)”, and by Deutsche Forschungsgemeinschaft DFG through the Transregional Coordinate Research Action SFB/TR 14 AVACS. In addition, we would like to thank DENSO Automotive Deutschland GmbH and DENSO Corp. for kindly providing the path planning use case. In particular, we would like to thank M. Toyoshima, M. Adachi and B. Böddeker for many fruitful discussions.